Home Demolitions - HOW SHOCKING Asbestos in Talcum Powder? Home demolitions are the experts in home and building demolition with professional processes and services at affordable rates in Sydney. Contrary to what people may think, old homes and buildings are not the only cause for concern as far as asbestos goes. Recently there has been issues arising about asbestos contaminated talcum powder. This week Johnson and Johnson was named in a court trial in the USA pertaining to asbestos being found in their talcum products. This is the sixth mesothelioma trial involving Johnson and Johnson. The company has also been named in thousands of lawsuits involving ovarian cancer due to talcum powder use. WHY TALC IS SO LETHAL? Johnson and Johnson maintain that their products are asbestos free and safe for use. But the problem is that talc deposits are often located very close to asbestos deposits and asbestos can’t be processed out of talc. Due to the way minerals form it is possible that ribbons of asbestos can be present in talc rocks which are then pulverised to create talcum powder. It is well known that there is no safe level of exposure to asbestos, even a minute amount if inhaled or swallowed can lead to mesothelioma. The fibres become trapped in the lungs. Not only is there no treatment to remove these trapped fibres, but the body does not expel them naturally either. It is the immune cell’s job to clear out foreign objects in the lungs, but straight fibres longer than 20 micro-metres cannot be removed in this manner. Cells that are affected by asbestos become inflamed and create lumps called granulomas that can go on to cause mesothelioma. 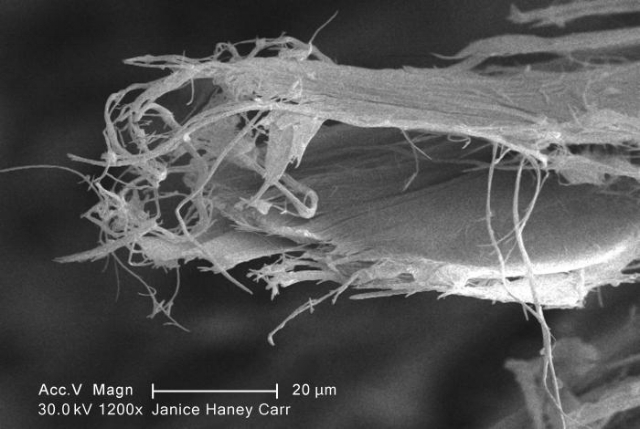 There is some debate over whether the fibres found are harmful or not, with Johnson and Johnson claiming that the asbestos comes from non-asbestiform versions of the minerals. However, the USA EPA, Occupational Safety and Health Administration and other authorities do not make a distinction between asbestiform and non-asbestiform versions. During testimony given by the same microscopist it was claimed that around 12 internal Johnson and Johnson documents reveal that the company has found asbestos in its products.